Gareth Dale (2016) A Life on the Left. New York: Columbia University Press. Fred Block, Margaret R. Somers (2014) The Power of Market Fundamentalism: Karl Polanyi's Critique. Cambridge, MA: Harvard University Press. Tove H. Malloy, Alexander Osipov, and Balázs Vizi (2015) (eds.) Managing Diversity through Non-Territorial Autonomy: Assessing Advantages, Deficiencies, and Risks. Oxford: Oxford University Press. 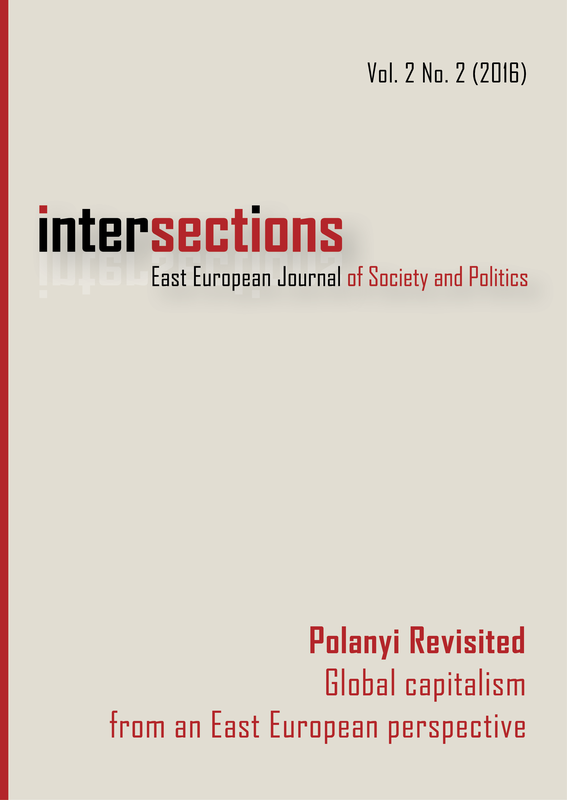 Intersections is a peer reviewed journal which promotes multidisciplinary and comparative thinking on Eastern and Central European societies in a global context. The journal publishes research with international relevance and encourages comparative analysis both within the region and with other parts of the world. The journal was founded by the Centre for Social Sciences of the Hungarian Academy of Sciences in Budapest and provides an international forum for scholars coming from and/or working on the region. It is indexed by CEEOL, ERIH and Google Scholar. The evaluation process is at an advanced stage with: ProQuest Sociological Abstracts, EBSCO, JSTOR, Web of Science Emerging Sources Citation Index, Index Copernicus, DOAJ and Scopus.